Join us for our Easter 2017 Bar Billiards Tournament! Click here to find out more. Click to see our Christmas opening times! 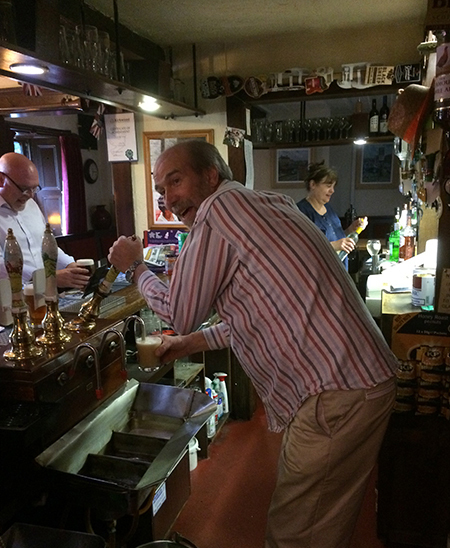 Formerly known as The Church House, our establishment is a quaint, olde-worlde pub with a lovely beamed bar area and separate rooms dating back to 1777. Traditional wood burners add the finishing touch on a cold winter’s day. 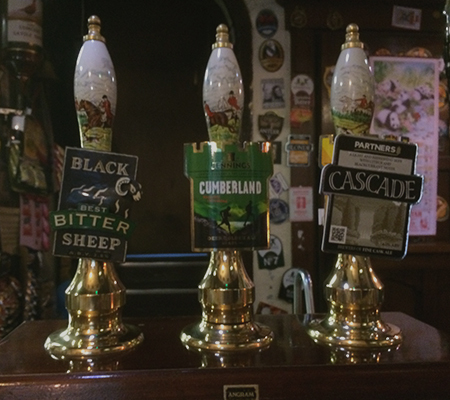 We have four hand pumps, with Black Sheep bitter always on tap and a variety of guest beers on the others. Bar Billiards is played in the Tap Room which stands on the consecrated land of the Parish Church and we have a large colourful mural depicting the history of Thornhill in the Lounge. A steep staircase leads to a wonderful “secret garden” with picnic tables for barbeques that we hold regularly in summer; children are welcome in the garden area. Fantastic food is available by prior request for parties, funerals and small groups for private dining. Regular food nights are on Wednesdays and Fridays with our current menu on display here. We have regular food nights on Wednesday and Friday and take bookings here. Hilary’s food is exceptional. All produce is sourced locally from our trusted suppliers that we have used for many years and we change our menus on a weekly basis.